For all your kit requirements, Hillgoers uses local stores, Banchory-based Out There Active Wear, Inverurie & Aberdeen's Craigdon Mountain Sports and also Hilltrek, supplier of premium outdoor clothing manufactured and based in Aboyne. Customer discounts are available, contact Hillgoers for more information. We use Harvey Maps on all of our walks, discounted maps available for our customers, can be purchased for use on our trips. Bespoke maps available too. We annually donate a percentage of our profits to our chosen charity, Aberdeen Mountain Rescue. You can also leave donations on their page. Based in Aberdeenshire, Promoting Health - the natural way, offers a professional and integrative clinical approach to health. BackStrong Trust - Provides support and information to those with spinal injuries and conditions, and still have the ability to walk. Their website and support group sessions actively promote ways to improve health and wellbeing, highlight further helpful groups and resources, while also educating friends, family and colleagues to better understand conditions. Based in Banchory, The Deesidedly Tasty Company can supply us with an excellent choice of food for our expeditions and events. Mountaineering Scotland provides information on safety, insurance and member benefits.  Mountain Training Association is a membership organisation for climbing, walking and mountain leaders in the U.K. and Ireland. National Navigation Award Scheme (NNAS) is an incentive scheme for all ages to learn navigation skills. We have a list of trusted partners who can provide the perfect accommodation for walkers, you can view these here or contact Hillgoers for more information.